Editor Shannon Young is seeking contributions from expatriate women in East Asia for a new anthology from Hong Kong’s Signal 8 Press. The collection will feature the writing of women who are currently expatriates or who have previously lived in an East Asian country. 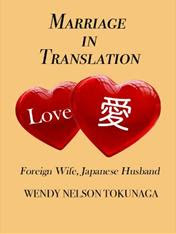 For the purposes of this anthology, this includes Korea, China, Japan, Taiwan, Hong Kong, Macau and the ASEAN countries. All submissions should be creative non-fiction and/or travel memoir pieces that speak to the expat experience in modern East Asia. Potential topics include travel, work, relationships, gender roles, safety, family and repatriation. Stories should have a strong and personal narrative arc, not just travel guides or descriptions of the places where the writer has lived. The anthology strives to be as inclusive as possible and welcomes submissions from women from different parts of the world. Submissions should be between approximately 2000 and 5000 words in length. Each writer will receive two copies of the completed anthology and a percentage of the royalties to be determined by the final number of contributors. Please send all submissions, with a brief paragraph about the author to Shannon [at] typhoon-media [dot] com. Submissions should be in Microsoft Word, .doc or .docx format, and in a standard font. The deadline for submissions is February 28, 2013. The anthology will be released in paperback and e-book formats in the spring of 2014.